We started out in 1978 as The Village Playhouse of Wauwatosa. A small group of friends banded together to produce Showboat at Wauwatosa West High School. The next few productions were at Hawthorne Junior High, and then we moved into the theater space at Plank Road School in Wauwatosa. 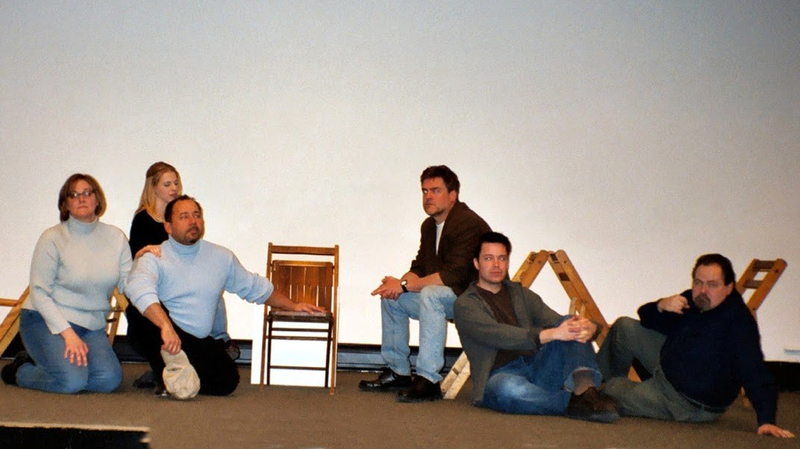 After the Plank Road School closed in 1998 we spent the next 15 years as a “homeless” theatre, performing in a variety of different venues including other theatres, school auditoriums and art gallery spaces. Most rehearsals were held in a Wauwatosa church basement, with our costumes, props and sets being kept in a West Allis storage space. During this we enjoyed collaborating with our friends, doing several joint productions with the Brookfield Players and The West Allis Players. In 2013, one of our members decided that the company needed a permanent home. He purchased an old funeral home and transformed it into Inspiration Studios, an art gallery and performance space. Since we now had a permanent home in West Allis, we dropped the Wauwatosa from our name to become the Village Playhouse. As the resident theatre company at Inspiration Studios, we rent the basement area for storage and rehearsal space and the performance space for all our mainstage productions. We look forward to continuing the story in our new space for years to come.